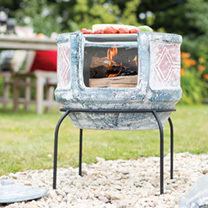 The geometric medium chimenea with a grill is an attractive addition to your garden or patio leaving people stunned and questioning where it is they can buy one. 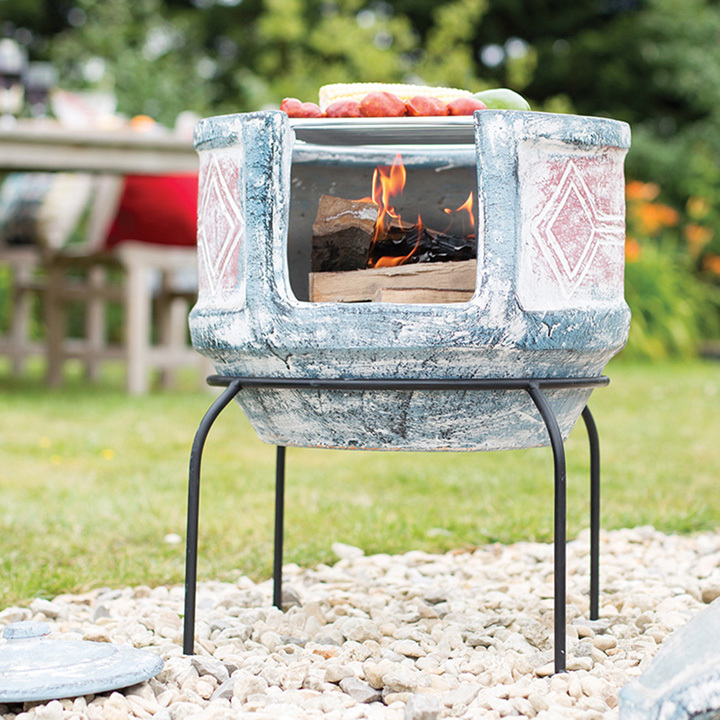 This distinctive chimenea comes with a chrome cooking grill so you can snack when having friends or family around for a gathering. The sea-blue finish colour with a spectacular red geometric design will enhance colour and style to your garden. It comes with a 4 legged stand to lift the chimenea off the ground for easier access also a rain lid for gloomy days to keep it dry. 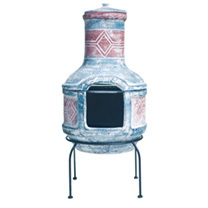 Versatility is the name of the game with this chimenea. Cook barbecue style food with friends, then add the upper section to enjoy as a patio heater well into the night. Both modern and rustic. 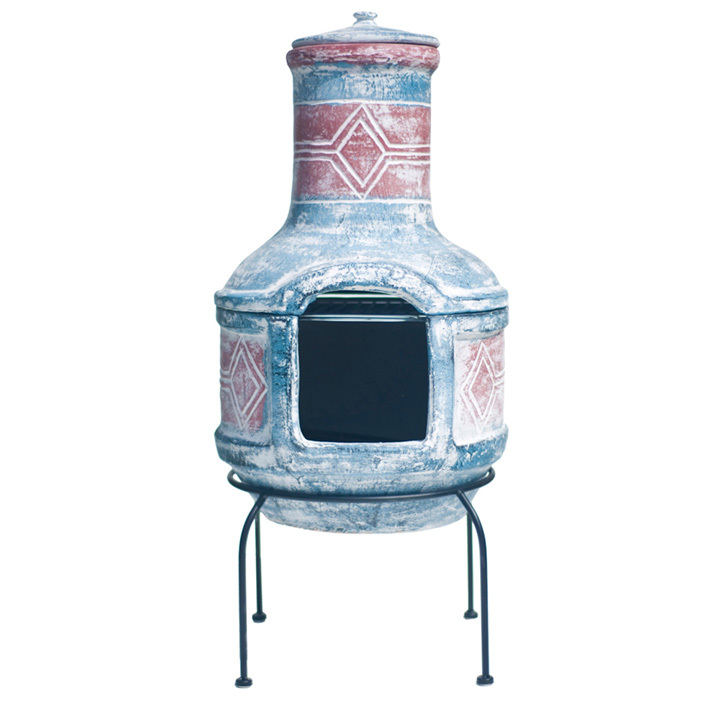 The geometric design and traditional shape make this chimenea at home in many types of garden. Height 87cm; diameter 40cm.